Registration is now closed. Please follow #IsCanadaBack for updates throughout the conference. Read the 2018 Concept Note! After winning the Canadian federal election in 2015, Prime Minister Justin Trudeau proclaimed that ‘Canada is back’ – a message to citizens and the international community alike that Canada has regained its “compassionate and constructive voice”. Please note the schedule below to plan your travel accordingly! 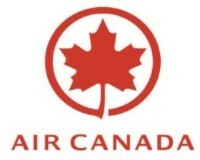 Air Canada is the official airline for this year’s conference. Please use the following promo code via aircanada.com to receive a discount on your flight to Ottawa. Inspired by Justin Trudeau’s 2015 proclamation ‘Canada is Back’, we are presenting panels that illustrate or challenge Canada’s role in global leadership. Are we doing all that we could be doing in the world? Are We Feminists? asks if today’s government-endorsed feminism is truly transformative, or just a catch-all buzzword. In The Political Pulse, political strategists from each political affiliation will debate Canada’s role in the world, challenge the sector’s advocacy tactics and make the case for development leading up to Election 2019. Funding the Future examines creative and effective ways to end extreme global poverty by 2030. Youth Breaking Barriers will highlight youth-led movements and the challenges faced when working within traditional and established civil society frameworks. Come on board as a volunteer or a sponsor! Translation and interpretation for this project has been made possible [in part] by the Government of Canada.